The jewel in our crown; NORTH4. 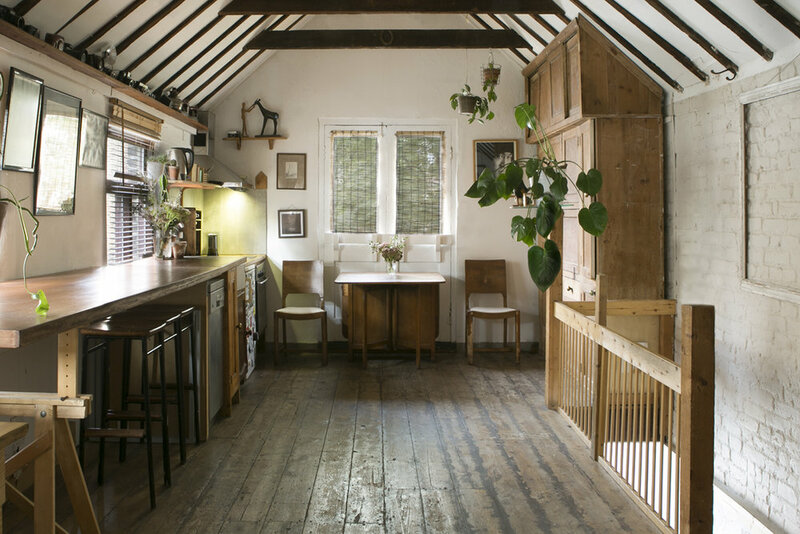 A 16-minute hop skip and Viccy-line jump from Oxford Circus, this gem is a multi-use space in a charming converted 1880s stables in Haringey, North London. Is it fully equipped though? Yes. Photographic and video shoots, film screenings, events and exhibitions, it has all you need for just about anything. Well, maybe not afternoon tea… actually wait, we do that too. The open space upstairs is party to exposed pitch roof beams, original wooden flooring and fully equipped kitchen — b-e-a-uuuutiful. There are three 4 hour slots available per day. Fees for the evening slot may vary. We generally try to be flexible in terms of slots start/ending times. Do get in touch to confirm. NORTH4 studio comes fully equipped for photo shoots. Click here to see the list of the equipment included in the hire.